Need a project for those colors in your palette sampler you just don't know what to do with? Then pick as many or little as you like and start working on this scarf. 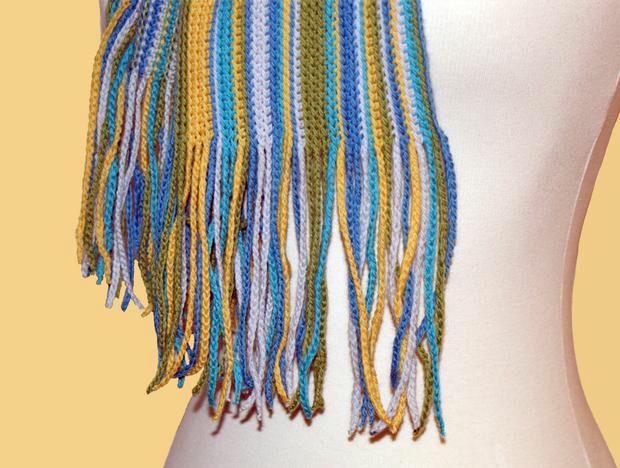 Made with unique chain fringe detail, this scarf is big on style and easy to make. 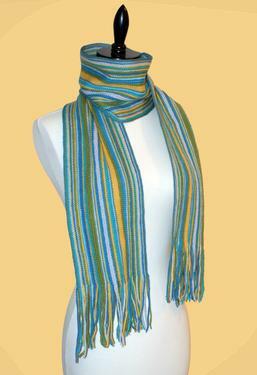 Beginner skill level means anyone can make this and have a fun stylish scarf that is great for any season. 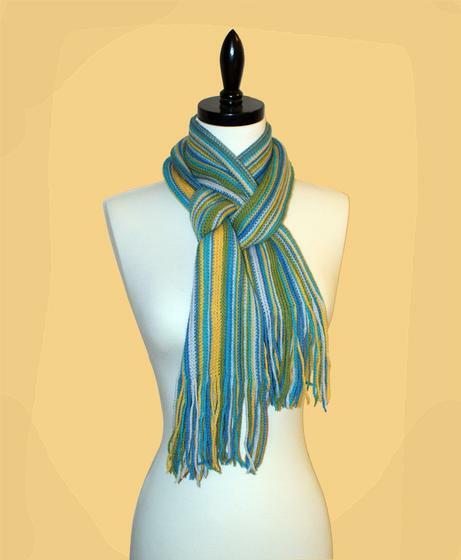 This scarf is truly customizable. 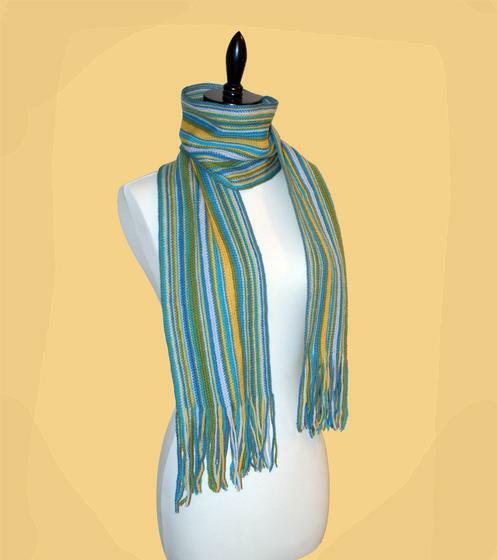 Either follow the color and stitches suggested or learn the fringe technique and change up the color and stitch patterns to make it just as you like it. I used five beautiful colors from the palette line, but don't be limited to my choices. Choose your favorites and get started today!